Here is one of the many socialists who seek to undermine America. This is Van Jones at the Green Festival recently. The Green Festival is a cesspool of socialist sympathizers who seek to use climate science to spread communism all over the world. Listen for yourself. Take note, prepare your minds, and make a friend aware and awake. The two things that we are told not to speak of are politics and religion. Yet it is those two topics that affect virtually every endeavor of human thought. If you want to know who the villains are in our society look at those who tell us not to speak of these things, and you will see your enemy. Those who advocate not speaking of politics and religion are those who are attempting to maintain a monopoly on thought, and seek to be the rulers of your life. For myself, I question everything, and am in love with nothing but the idea of being left to my own devices. So the social mechanisms of the human race are all up for revision. Nothing is sacred if it is not producing the very exceptional at the maximum capacity capable by the human mind. The current philosophy of America, the one that has been infected with socialism, does not work for the majority of the population. It is an unmitigated failure virtually beyond measure. In fact, the examination of the ineptitude that our current American philosophy is pursuing is so grand that most people just tune it out and leave the matter of adjustment to the very thieves who have perpetuated the candor to the lowest in our society—the politician. To understand just how serious these politicians have infected American society with a philosophy of looting which serves nobody but themselves watch carefully this video which will spell out the situation wonderfully for your inquisitive mind. At this site there are many radio recordings and videos which show that a majority of the public servants currently serving the United States citizens at Capital Hill have enriched themselves greatly by insider trading. In my opinion these are simple thieves who using a wage provided by the American citizen to do the work of the country have squandered that task away because they function from a looter philosophy that they inherited from this infection of socialism they were raised on in our public schools, and media culture. These con artists ran for office under the premise and promise to uphold the United States Constitution, but once there show the weakness of their inner philosophies, and quickly become common looters of the public treasury. It is because of these types of people of poor quality that communism will never work and the socialism that leads to total communism slowly erodes away the philosophy of every nation with the plague of altruism. Because the human being from even the first moments of life is concerned with its own survival, and an economy that is built upon self-interest will thus be stronger because it was built by people who care for themselves. Those who attempt to pretend that their life has value because of self-sacrifice are fools who lack real life experience as to the motives of mankind. Beware of the altruistic prophet, the looter of luxury who pretends that they are there to help. They only care to take from you to gain what they lack the ability to make for themselves. A good example of this is Michelle Obama, the current first lady. She is one of those altruistic prophets who says one thing, but does another. A poor quality mind is always easy to spot in such people who believe they are better than they are because the value they apply is derived from what they have managed to loot from public money. For some insight into this let’s have a look at the first lady’s behavior in the White House, of which we all fund with our taxes. Michelle Obama has more personal staff than any first lady in history. She currently has 22 personal staff to care for her every need and fantasy. Here they are and while reading them, consider what you learned in that first video. The looters of our American philosophy wish to strip away our religion and replace it with one of their own design so that they can control us, so that we are easy to steal from. They strip away our philosophy so that they can replace it with their own altruistic example so that we will give up our money to their cause and not cast our eyes in their direction and discard those politicians as useless. As long as they convince us to think in fashions of sacrifice, we will give our wealth to them so they can spend $447.39 on luxurious foods at a New York hotel for an afternoon snack. The looters do this because they are thieves who have no value for the funds they stole, because stealing it is easy. They provide no service that couldn’t be done by you dear reader. But they have stolen your philosophy from you in public education, so you cannot reason for yourself the folly of your ways. They have stolen from you a religion, so that you look to politicians who will spend $150 on Iranian Osetra Caviar as the provider of both religion and philosophy. 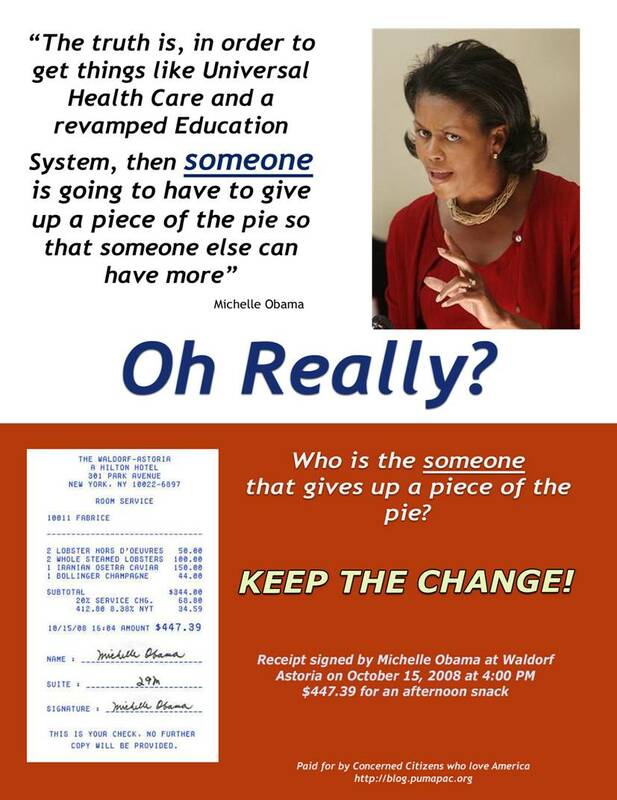 They will sell to you their image as the prophets for the prices of the taxes that come out of your hard-earned check. 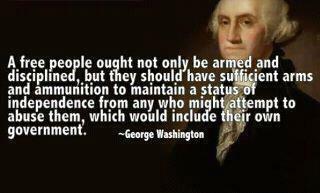 Looters do not have your interest in mind. They simply wish to give you a job to keep you happy and voting in their direction. They wish to hit that magic number of 50% by using your greed against you for their gain. You see, they do not believe in altruism themselves. Not in the least. They wish you to believe it so that they can control you. So you will take your government job, make twice what is made in the market controlled private sector, and you will trade away your freedom for comfort and a vote for their politicians so they can maintain their power base as prophets when in reality they are simply clowns. Want more proof? Look at these connections of nepotism among the political elite centering on the new green initiative. This is just a fraction of what is really going on. • The Tonopah Solar Company in Harry Reid’s Nevada is getting a $737 million loan from Obama’s DOE. • The project will produce a 110 megawatt power system and employ 45 permanent workers. • That costs U.S. Taxpayers just $16 million per job. • One of the investment partners in this endeavor is Pacific Corporate Group (PCG). • The PCG executive director is Ron Pelosi who is the brother to Nancy’s husband. Working philosophies and religions are out there for your use dear reader, and when you allow the looters to not only rob you of your wealth but of your mind too, you have committed a sin against your legacy. When death finds you, and you lay in your casket and the small gathering of your family and friends show up to say a few nice words on your behalf, without a strong philosophy they will only have to say that you were a good person who did what people told you to do. You held a government job, paid your bills, and voted for altruistic political candidates who brought joy to the world. But your departed soul and a few wise men and women will know the truth, that you perpetuated tyranny by assisting the looters of America into a crime against mankind that made kings of the weak and victims of the strong. The death I’m speaking of is not you dear reader, for you are only a cell in the greater body that is sick. The body I speak of that resides in the mentioned casket is America. A country that let it’s philosophy be stripped away from it so that it could become sick and die from within. For anyone who studies sickness knows that for a virus to kill a life, it must destroy first the body’s immune system, and for a country, that immune system is its religion and its philosophy. That’s why both must be discussed often, so that the body can fight off the diseases of looters which seek to plague it. And fear not, philosophy does not need to be laborious and out of your reach. I have went to considerable effort to make philosophy obtainable for a public that are current victims of a looter ruling class, so that those villains might find themselves shortly extinct. 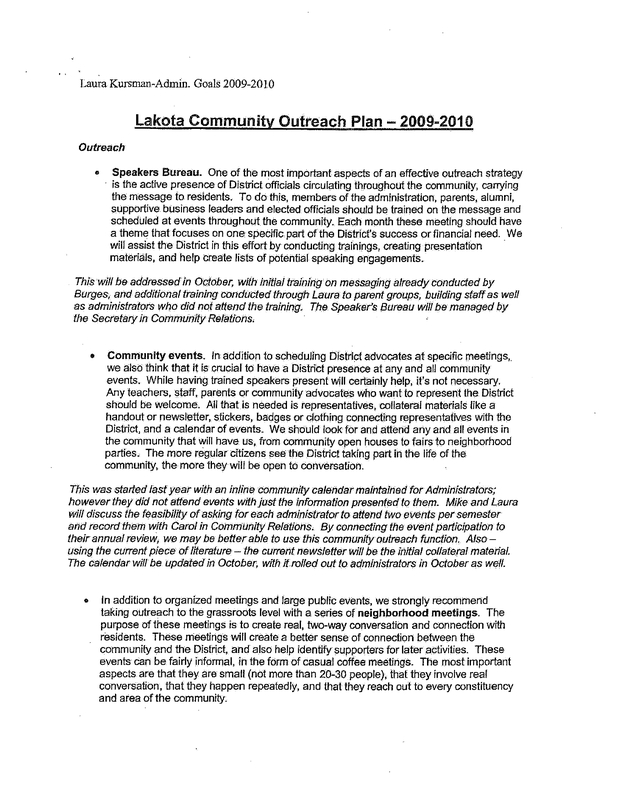 The only reason Lakota would cut its music program is to extort from the voters support for another levy. But in fact, the residents of Liberty Twp and West Chester are more than adequately funding Lakota for a great education for the children, sports, busing, and everything we expect. It is the administration and the union interest that is playing this game of financial extortion with valued programs and if you will take the time to read this, you will see the proof for yourself. 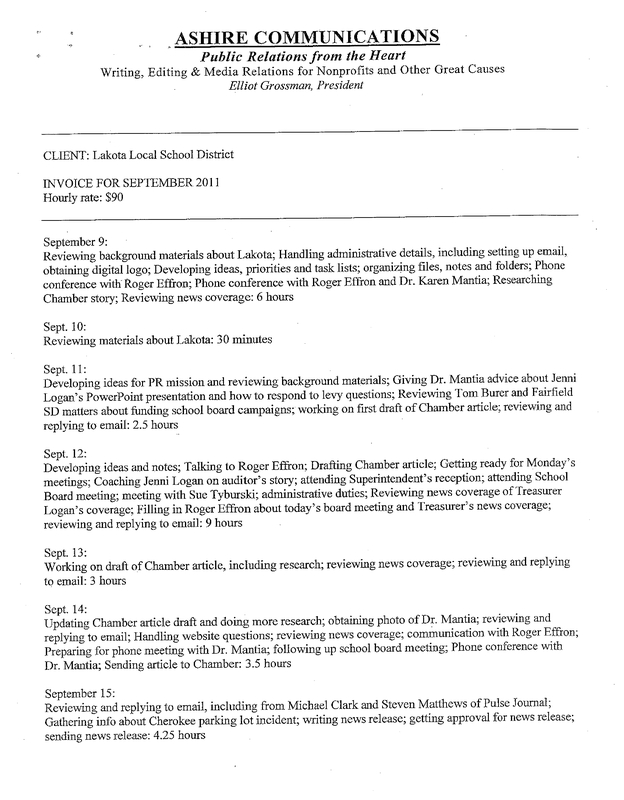 What you will see throughout this article are the actual billing sheets that Lakota spent on public relations after the release of their PR director in September. The waste will amaze you. Pay particular attention to the length of the discussions and think of the money flying right out of the window. 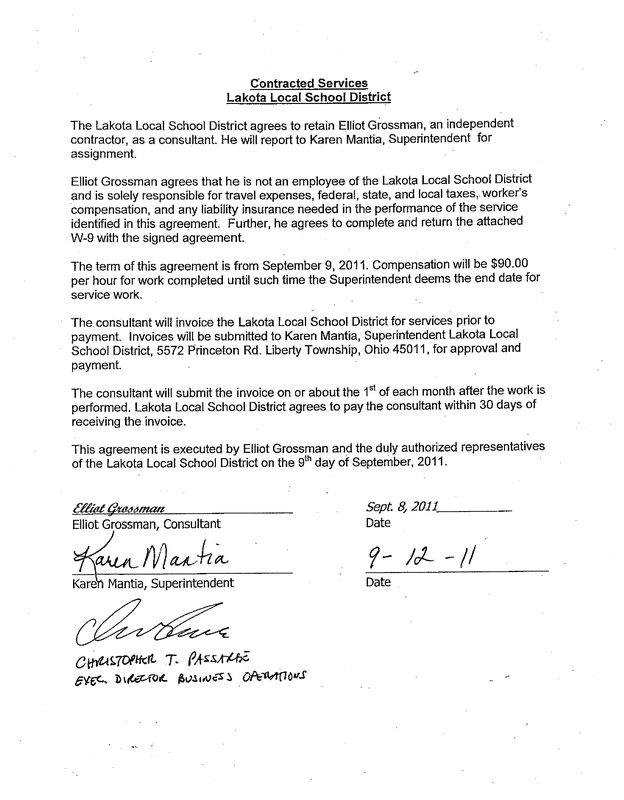 There has been a lot of speculation about the $90,000 payout to the former PR director at Lakota. 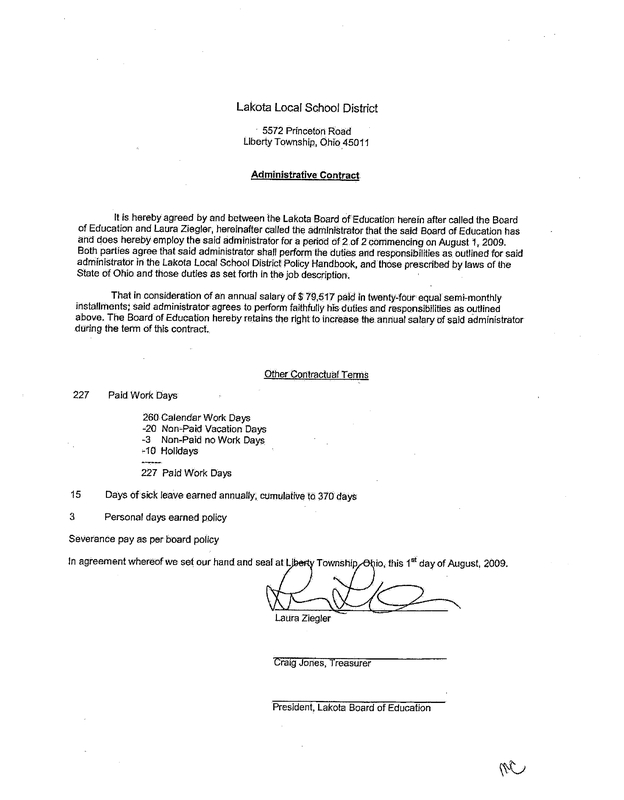 The reason is that in the wake of all the discussion Lakota as a district has uttered about not having enough money to deal with which necessitates a new tax levy, then when it is learned that $90,000 was paid to a former employee who didn’t directly contribute to any educational activities, but simply held a PR position that was paid $79,000 per year, questions come to mind about the way Lakota spends it’s money and must be examined. 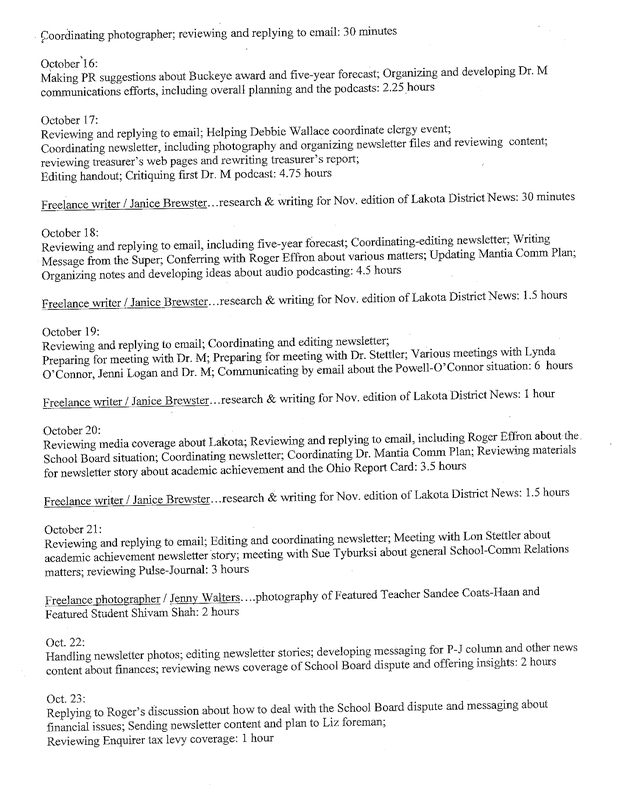 And much of the reason that the former PR director left her job is revealed in the information below and is just another example of an administration starting with the school board that is inept in its dealings with employees by attempting to strong-arm people both within the school system and outside into doing what they what they politically desire. When such actions are taken and mistakes are made because a line was crossed, then payoffs that total $90,000 must be made to correct the error. That’s why the school system has been reluctant to report what happened between Joan Powell and Laura Kursman and why it cost the district so much money. 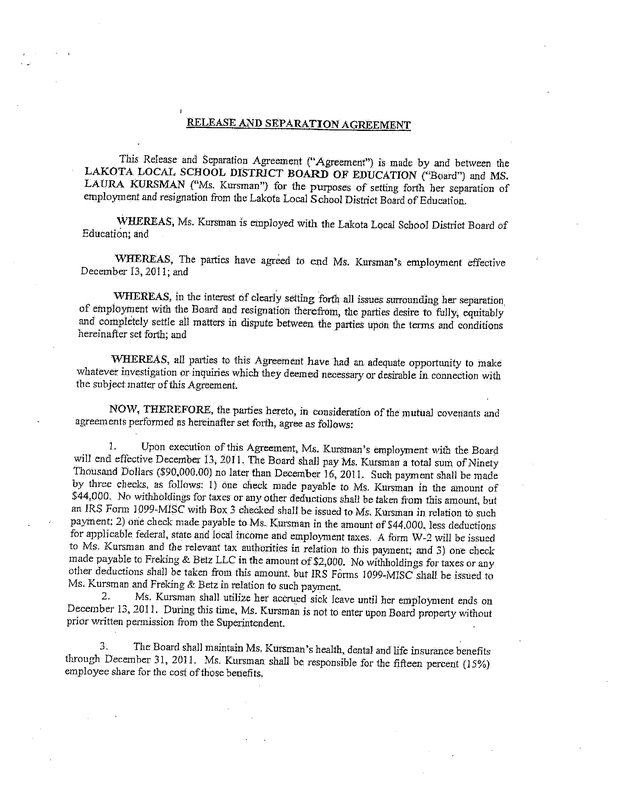 The exact content of the dispute is still a mystery but involves allegations of illegal requests from the district to Laura Kursman in handling the media. Keep reading! To put things in perspective consider that with the current tax assessment on community properties at $1,140 per $100,000 evaluation, and for ease of calculation let’s assume that the entire amount of that property tax went toward Lakota Schools, (which it doesn’t) it would take 78.9 homes valued at only $100,000 each to cover the cost of that payout to the former PR director. For homes valued at $200,000 each which is more appropriate for home values in the Lakota District, it will take 39.4 homes to cover the cost of the $90,000 payout. That’s a lot of homes. The problem with the district and public education in general is that they function with a collective philosophy while most of the rest of society does not. 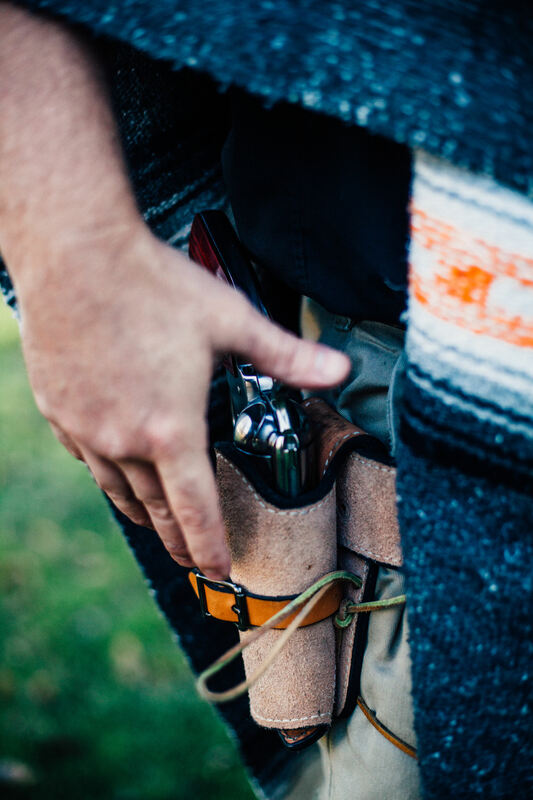 Public schools since they are government employees do not think from a self-reliance standpoint, and they are not teaching our children self-reliance. 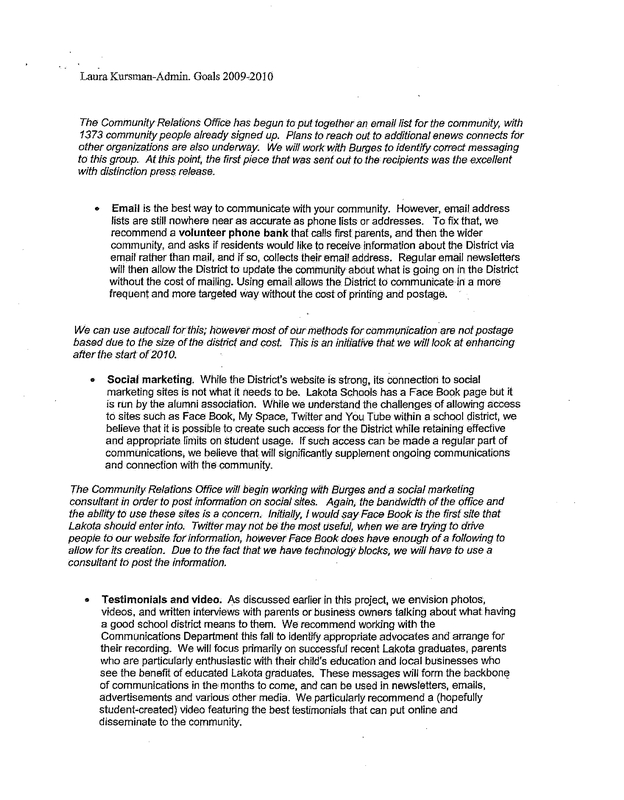 Public schools, as shown through the actions of the Lakota School System lean on consultants and advisors at every possible instance. 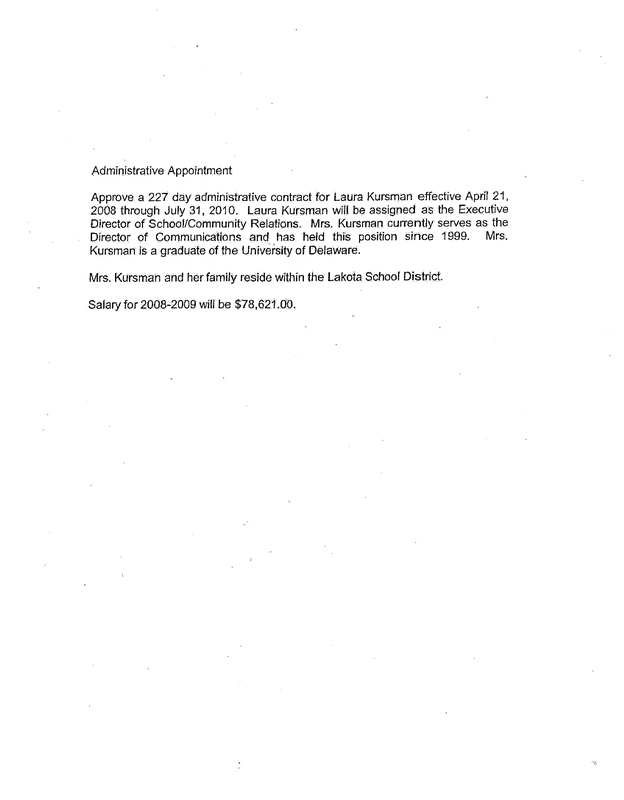 For example, Lakota spent approximately $40,000 to the recruiting firm of Lovett and Lovett to find Jenni Logan the new treasurer at Lakota which was a good hire, but should it have cost $40K to find her? The same type of money was spent to find the new superintendent Karen Mantia who was working 70 miles up the road but $43K was spent on the firm Hudepohl and Associates to find her. 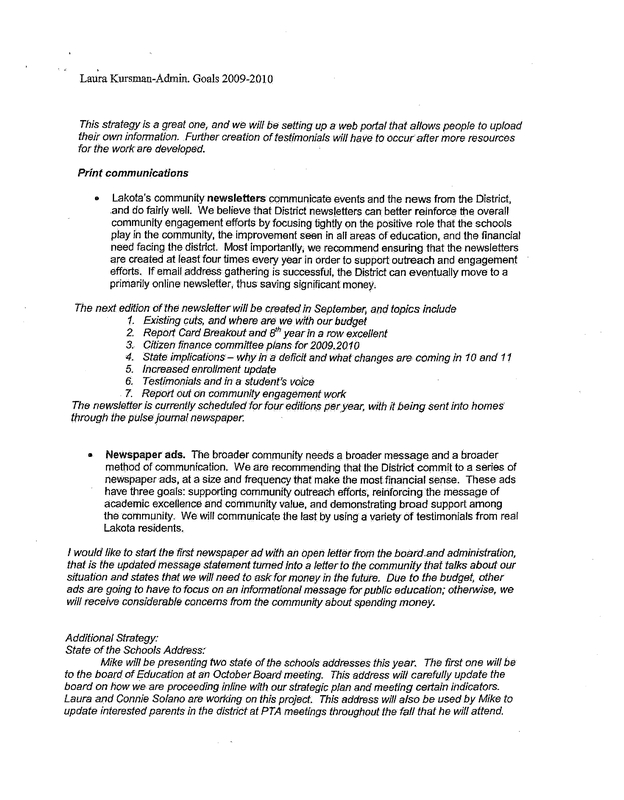 All that occurred during the fiscal year of 2011 and if you add them all up including the recent payout to the PR director, it comes out to $173,000 dollars spent on absolutely nothing of any value toward education. The fees for hiring those employees should have been located using Monster.com or some other service instead of spending tens of thousands of dollars on consultants. The task of finding applicants falls on the human resources department at Lakota, not to be outsourced to these headhunting firms. To pay for just those three mistakes it cost in property taxes approximately 75 homes valued at $200,000 each to pay for just those fees. This brings us to the crux of the problem; government employees do not value money because they don’t work to get it. They simply make a request and the money shows up and this is why so many of them are panicking now that state and federal money is drying up. This is why the United States has a national debt of 15 trillion dollars! It’s this out-of-touch behavior among all government employees, especially public schools. 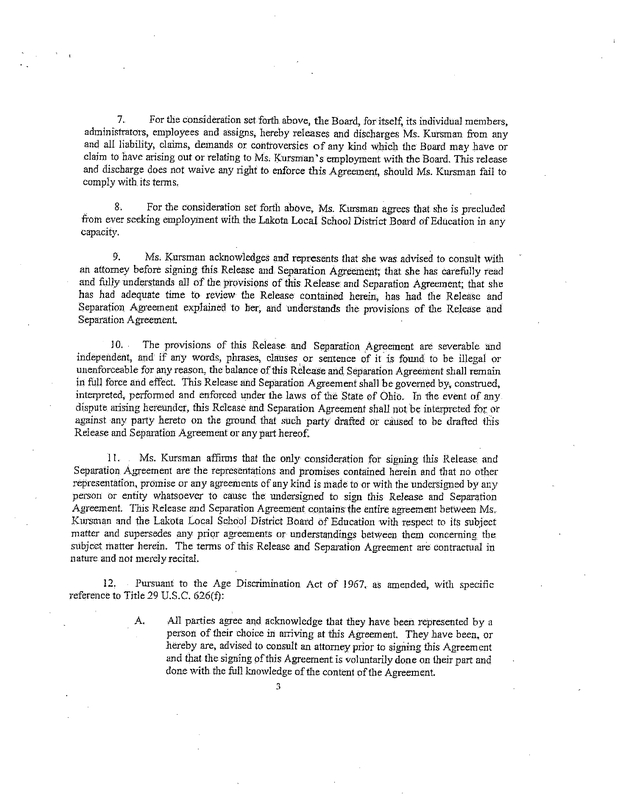 And to exhibit just how bad it is I have included on this page the documents obtained in the records request involving the Kursman separation agreement from Lakota. 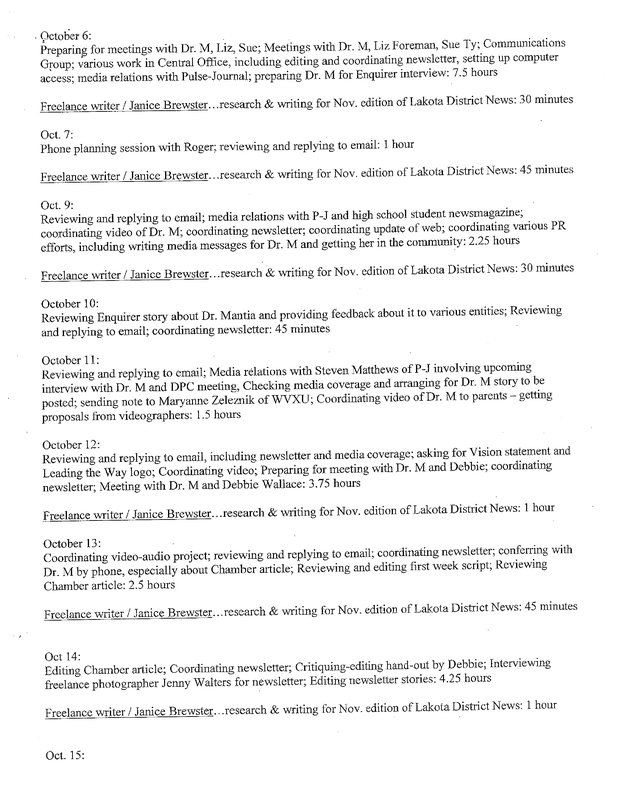 The documents show the billing results both above and below of the PR firm of Ashire Communications that Lakota used in the absence of Laura Kursman during the levy campaign in the fall of 2011. This firm charges $90 per hour and just in October of 2011 Lakota racked up a bill of more than $10,000 in consulting fees which equates out to 4 homes valued at $200,000 each to pay for in property taxes. 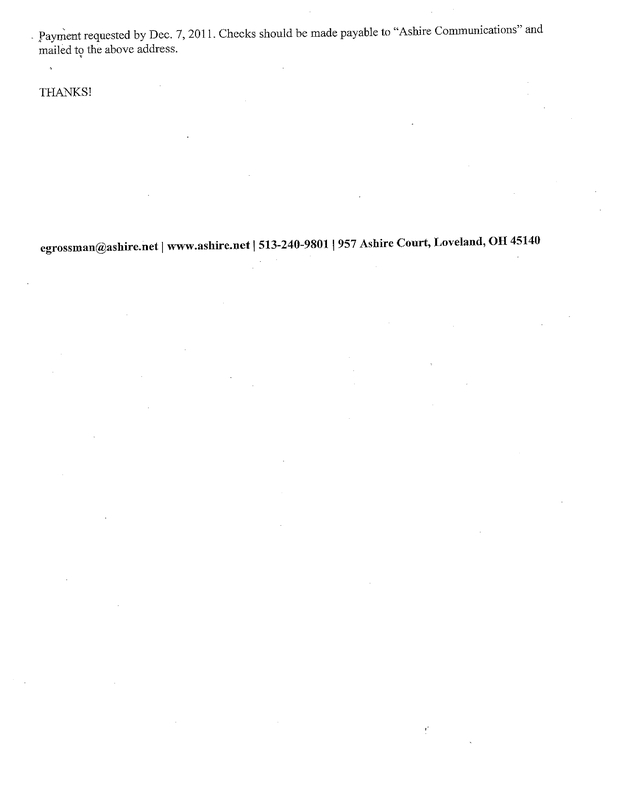 But the most sickening aspect of the whole deal is in studying the kind of things Lakota needed consultation on. Read closely! For most of us, we wouldn’t even consider paying a consultant $90 an hour to tell us things we already know like you will see in these next documents. And it’s not that Mantia and Joan Powell don’t know things of common sense. I think they do. But when you use a consultant or an employee to share the responsibility with, paying a consultant a fee takes the responsibility of potential failure away from high-profile politicians like Joan Powell and Superintendent Mantia. And yes, Joan is a high-profile politician. When she calls up powerful local politicians and threaten their electability if they do not support a school levy, then she makes herself a community “player” of a high-profile nature. Not to mention she is at the center of trying to make West Chester into a city of which she is hoping for a seat on the first city council………”allegedly.” By hiring consultants, these public figures purchase deniability in case something goes wrong. 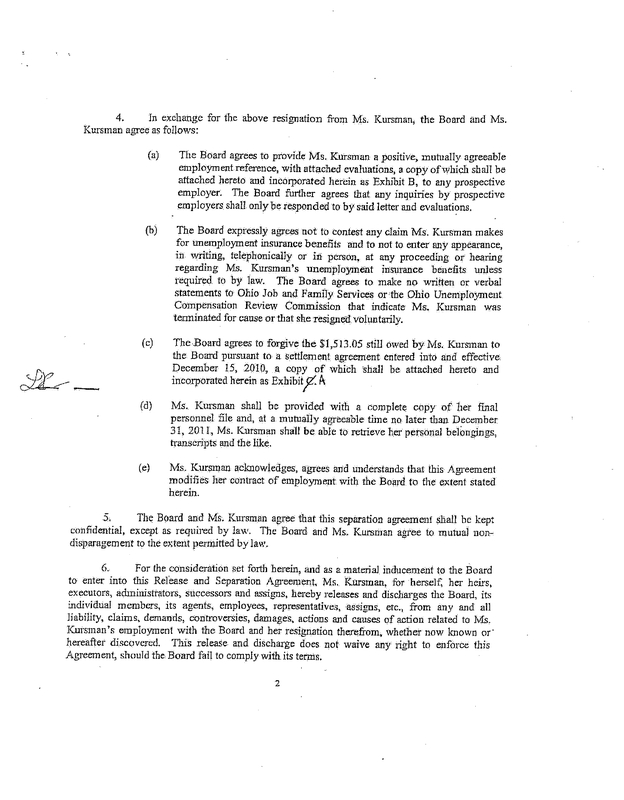 This means that there is no telling how much money is wasted on lawyer fees each year, and other employee blunders like what happened with Laura Kursman. We only noticed Laura’s situation because of the amount of money involved. With nearly 2000 employees at Lakota there are bound to be several hundred issues with employees in the system that amount to lesser financial impacts, but could collectively cost many tens to hundreds of thousands in legal fees, consulting sessions and employee searches. 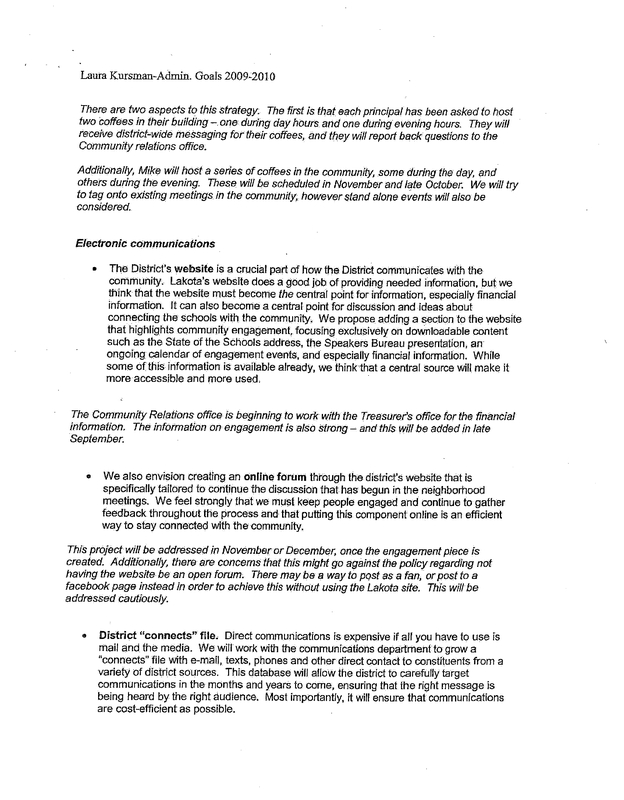 A quick look at the documents shown here will display how involved and how much money could potentially be spent on just one employee. Imagine what could be spent on many employees. And because money is short Lakota wants to eliminate their band program? Looking at all this, why does anyone think money is short at Lakota. Who thinks it costs more to operate the band than paying just one business quarter of this PR firms salary? And when it comes to levy failure, the need to obtain new money to allow these public employees to spend money at this level, tempers will fly. 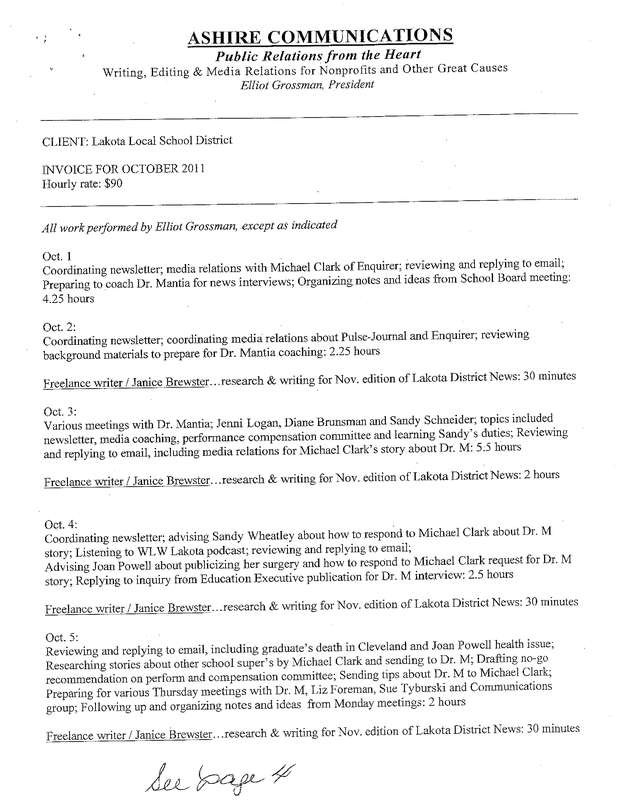 This appears to be what happened through the levy campaigns where Laura was asked to engage in “potentially unlawful activities in which she was requested but refused to engage.” Of course the Lakota attorney Bill Deters proclaimed that he “found no evidence to substantiate the allegations.” The reason for that is nobody left behind a paper trail, because nobody is responsible, everything is hired out. And things said from one person to another in a closed office become hearsay in a court of law, and school administrators would never dream of taking action that would leave a paper trail, so of course Deters wouldn’t find anything to substantiate the allegations made by Kursman. 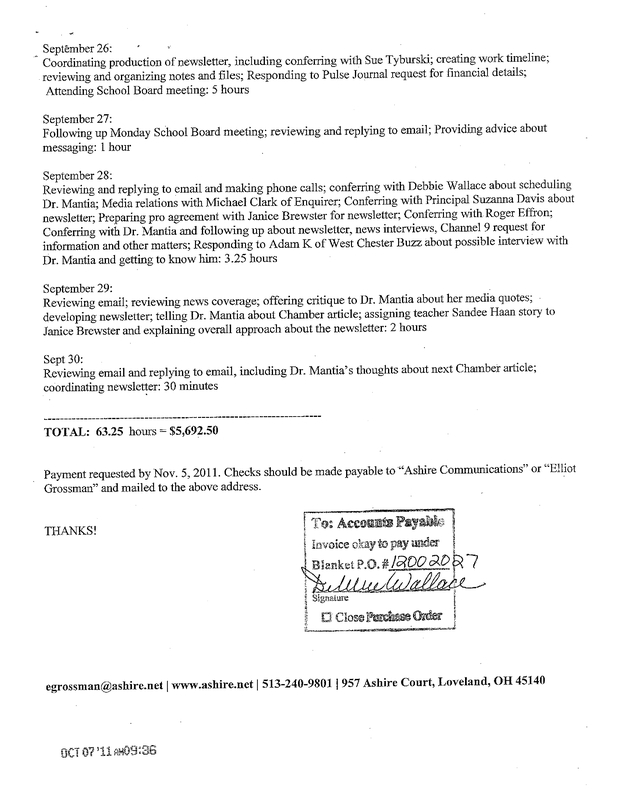 But there’s something to what Kursman is saying, otherwise Lakota would never pay $90,000 to make the problem go away when Kursman stated she was, “unwittingly instructed to falsify information to the press.” If Kursman refused to do these things it gives me respect for her in standing up to the pressure, because as stated, the primary reason that Lakota wanted to hire a PR director is to have political deniability in case something went wrong, which after three failed levies, the PR director would be the natural scapegoat. Where Lakota goes wrong repeatedly is that they are on the wrong side of the game of right and wrong, and they seek to use vast sums of money to cover up their deficiencies. If they just played things straight they could reduce the amount of administrators they employee because they wouldn’t be looking for someone to blame when things went wrong. And money would be saved because consultants and attorney fees wouldn’t be needed at every turn. Lakota is dealing with the public education sickness of organized labor who believes that the jobs at the school exist for the employees and not the children we send there. This leaves public school administrators to be lured into the profession because of the extremely lucrative compensation, but to avoid any real responsibility by delegating tasks off to subordinates to keep the hot potato out of their hands when something goes wrong. And when the subordinates refuse to take the fall when something like school levies fail, and the money to continue the behavior shown above runs short, which forces honesty to the surface, punishment will be issued. And this is what happened with the $90,000 payout. Laura didn’t want to be caught in a crossfire between her personal ethics and the politics of the district. And the school needed someone else who would play that role, so they set unrealistic deadlines and expectations hoping to force Kursman to leave so they could hire someone who would help them pass a levy. 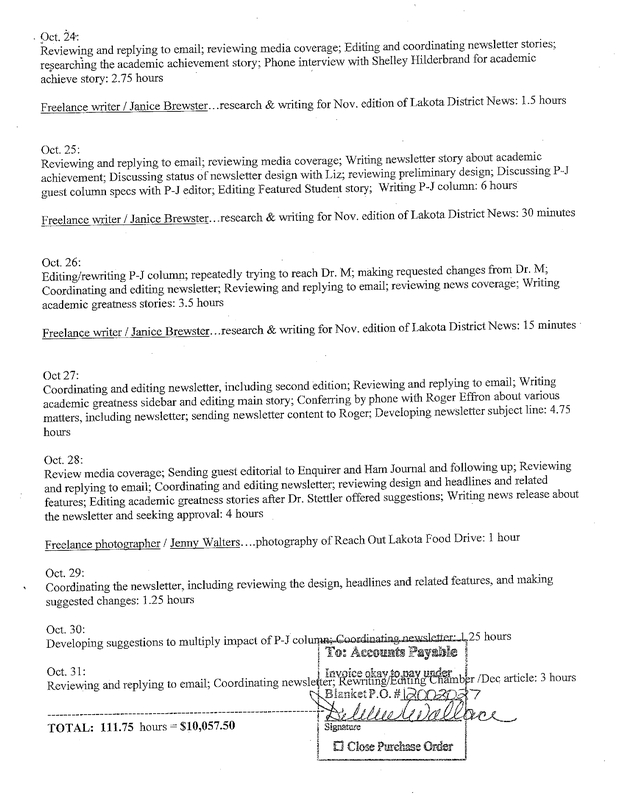 The evidence is in the documents above and below speaks volumes of the trouble in public education. 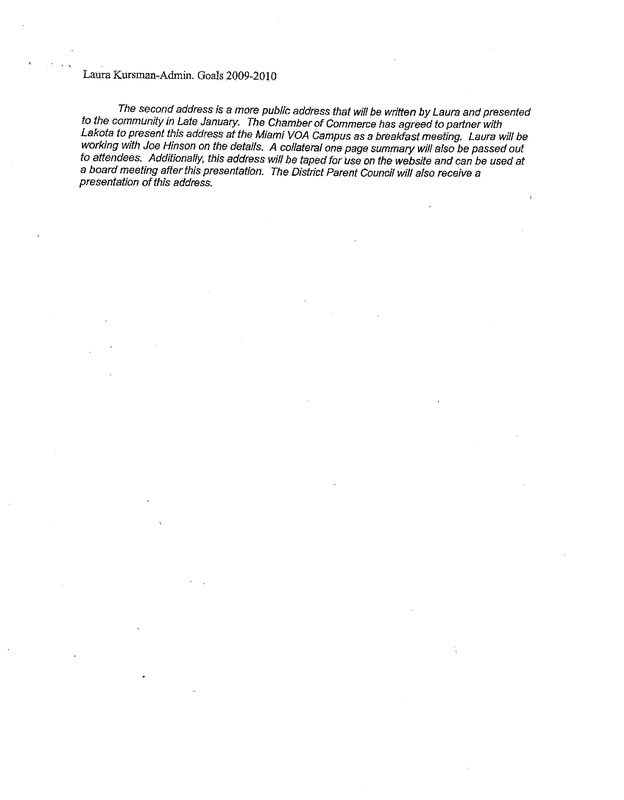 And before school funding is ever discussed for upcoming levy requests, the culture of delegation that costs so much money and is shown in these documents must be eliminated. Communities are trying to send their kids to school to get an education. They don’t want PR directors to spin public opinions, they don’t want lawyers to hide facts and protect public employees, and they don’t want political games around their children. They just want their kids to learn how to read, write, and do some math and be ready for life when they grow up. Everything else is the result of frail human thinking, and the politics of neurosis.